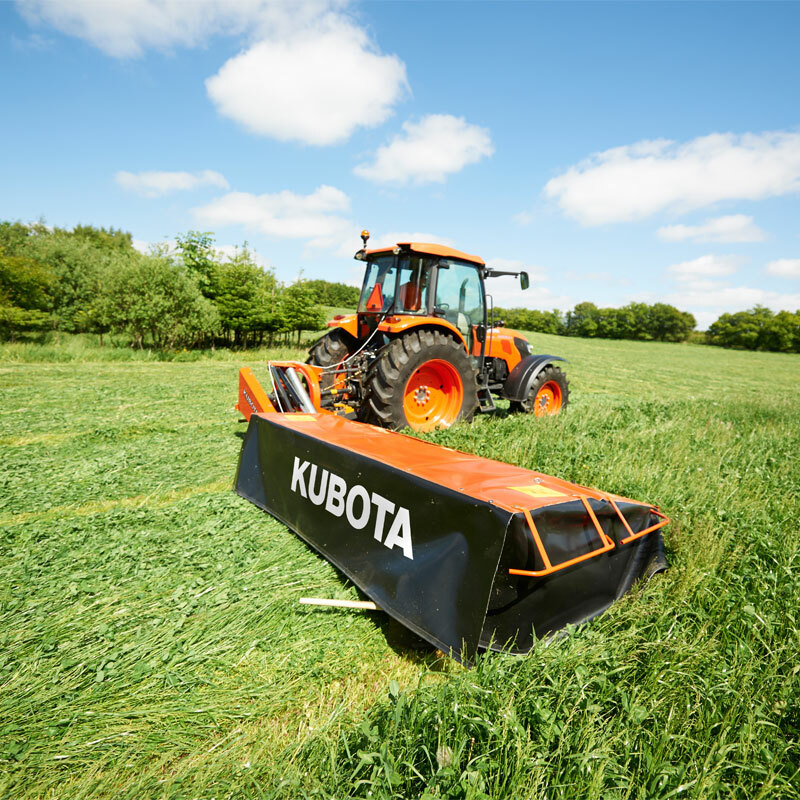 Side mounted plain disc mowers with working angles of up to 35°. 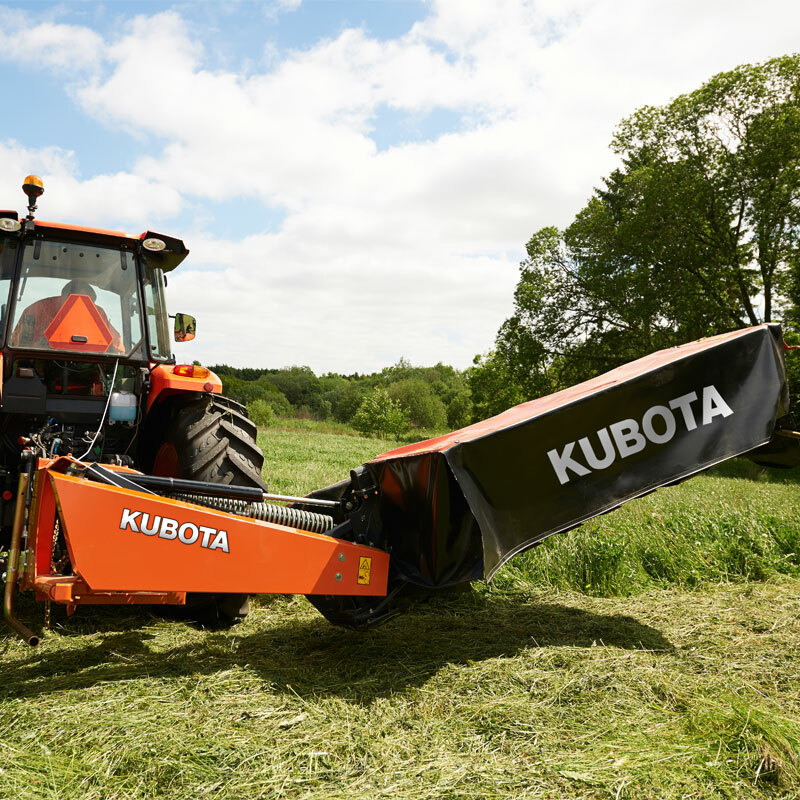 The Kubota DM2000 models are lightweight, simple mowers with a compact but durable design, for maximum output at a competitive price. 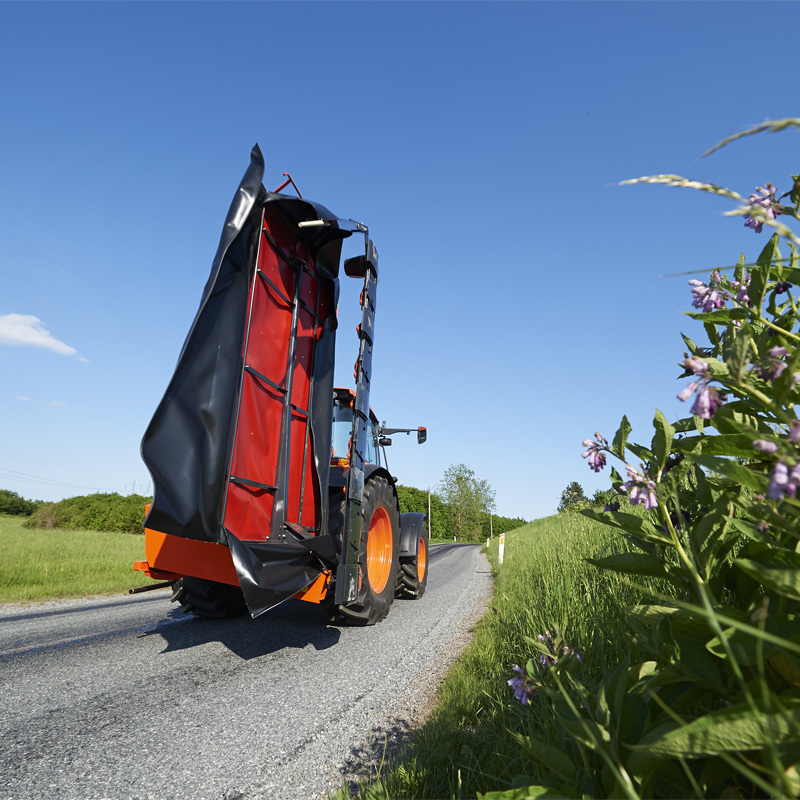 They are offered in working widths of 2.4, 2.8 and 3.2m. 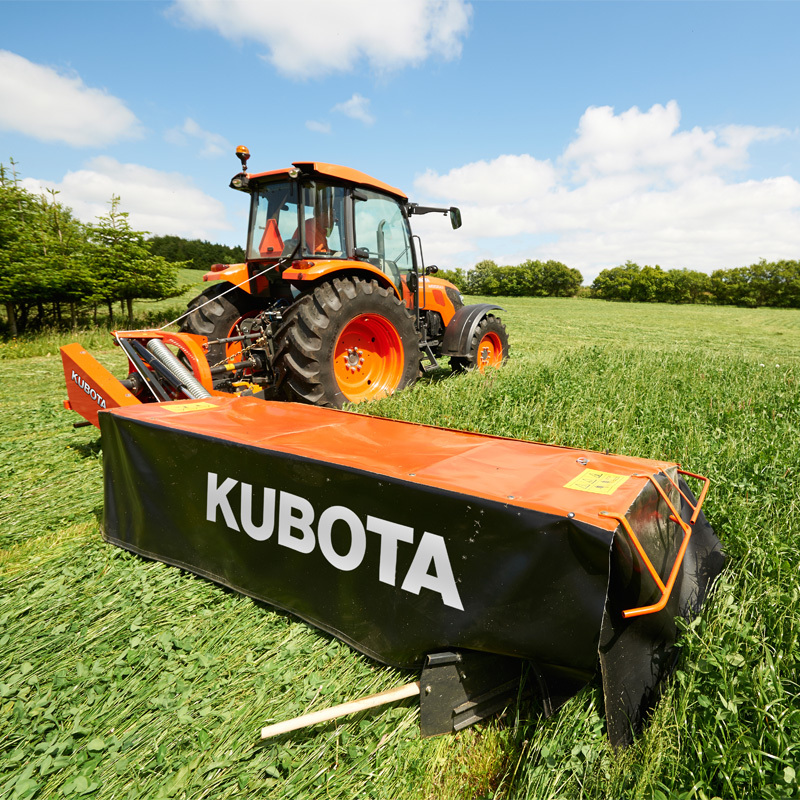 Featuring the Kubota cutterbar with triangular discs, continuous and excellent cutting performance, especially in difficult crop conditions, is ensured. 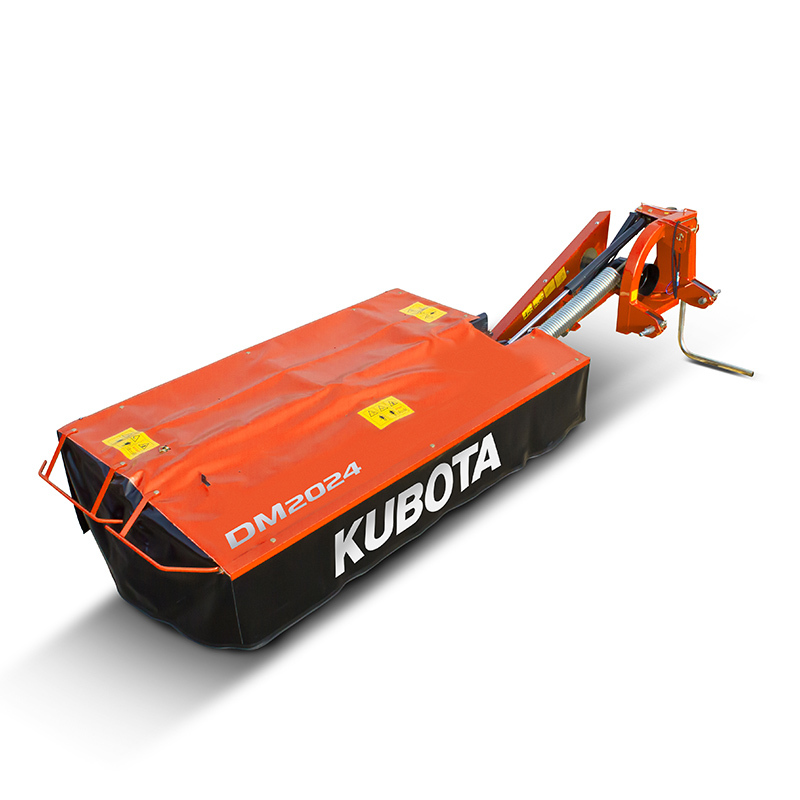 Fully welded Kubota cutterbar with triangular discs. 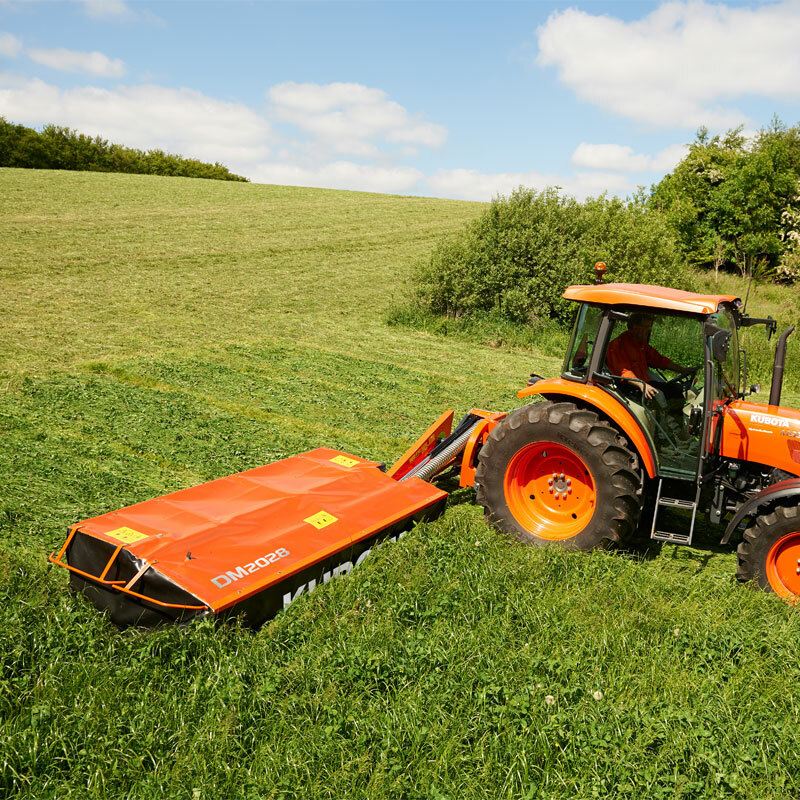 Working Width Weight Power Req.